Week four of our “Bit on the Side” column, and this week, without a European Tour event, there is a big focus on the Arnold Palmer Invitational. This week Jason and Tom offer a few bets they like, as Steve turns his attentions to Cheltenham festival (he’s allowed one week off). For a full outlook on the Arnold Palmer Invitational, check out Tom Jacobs’ betting column here. The site also welcomed another writer this week, as Tom No.2 (or Tom Hammond as he’s officially known) has come on board to provide DraftKings previews for the PGA events on a weekly basis. You can check out this week’s edition here. Here are the bets we at the Golf Family like this week in the side markets at Bay Hill. Whilst Fitzpatrick’s form of late is a worry, his Tee-to-Green game is still in decent shape and he will be looking to build on that as he looks for some form ahead of Augusta. The Englishman comes alive at this time of year, when looking to fine-tune his game ahead of the year’s first major and this has been a positive stop for him so far in his still relatively short career. In three starts at this event, he has finished inside the top-27 in the last two years after missing the cut here on debut four years ago. After finishing T27 in 2016, he came back a year ago and finished T13 just two shots shy of a top-10. A poor weekend particularly on Sunday last year cost him a real shot at contending in the final round, after opening up the week with rounds of 67-69. A 76 on Sunday, following a level-par round on moving day meant he fell away from the pack, but if he can find the form he showed in Rounds 1 and 2 last year, he can threaten again. A missed cut last time out at the Valspar was not the ideal preparation, but for a couple of rounds in Mexico (Friday and Sunday) he showed some positive signs, shooting 69 and 68 on those days so he may just have enough in him to go well at a course he clearly enjoys. Whilst he isn’t looking at his best right now, it is important to remember it was only four starts ago he finished T3 in Abu Dhabi and that was his sixth straight finish of T19 or better since his win in Switzerland last September. When he catches some form, there’s a good chance he will keep it going for a while, so a good week here will certainly bode well ahead of the Masters in three weeks’ time. Fitzpatrick is first out on the 10th tee on Thursday, playing with Brandon Harkins and former winner of this event, Robert Gamez so he will get the best of the greens, making him an intriguing option as First Round Leader, an honour he shared with Emiliano Grillo last season. Still just 21, it feels like Sam Horsfield’s name has been bounded around forever but that is because Ian Poulter has been gushing about the young Englishman’s ability for years. Horsfield was born in England but raised in Orlando, near Poulter’s home and educated at the University of Florida, so this is still somewhat of a home event for a man who has been plying his trade on the European Tour this season. It is no surprise that Horsfield has been invited to this event given his huge potential and clear ties to the area and he will look to make good on this rare opportunity, after starting the season fairly well on the European Tour. Horsfield has twice qualified for the U.S. Open but missed the cut on both occasions, and whilst he has played a handful of times on the PGA Tour he is still yet to better his T48 finish at the RBC Candian Open, so why will it be different this week? Well after romping home to an eight-stroke victory at the final stage of Q-School after six gruelling rounds, it appeared Horsfield was finally ready to make the big step in the professional game and he has shown a few signs of doing just that since. It has been up and down so far, missing five cuts in his first eight starts since getting his card but when making the weekend, he has been extremely impressive. In his first start following the slog of Q-School, Horsfield finished T22 in Maritius, thanks to three sub-70 rounds. It was three straight missed cuts after that, before he finished 4th at the Super Six event in Perth. Had his form been limited to this then maybe he would be more easily ignored, but a 2nd place finish last time out at the Tshwane Open has peaked my intrigue once again. A third-round 64 meant Horsfield went into Sunday just two shots adrift of home favourite, George Coetzee with every chance of winning. He matched Coetzee’s round of 67 in the final round, which of course was not enough to take the title, but it was impressive nonetheless. This week is of course a huge step up from an event co-sanctioned by the European and Sunshine Tour but with some huge efforts so far this season, confidence may well be high enough to get to the weekend, and who knows where he goes from there. Horsfield Monday-Qualified for the John Deere Classic last year, after not gaining an invite and went on to shoot a round of 66 in Round One and followed with a round 67 in Round Three, so it is clear he can go well if comfortable with a layout, which he may well be here given his relatively local ties. 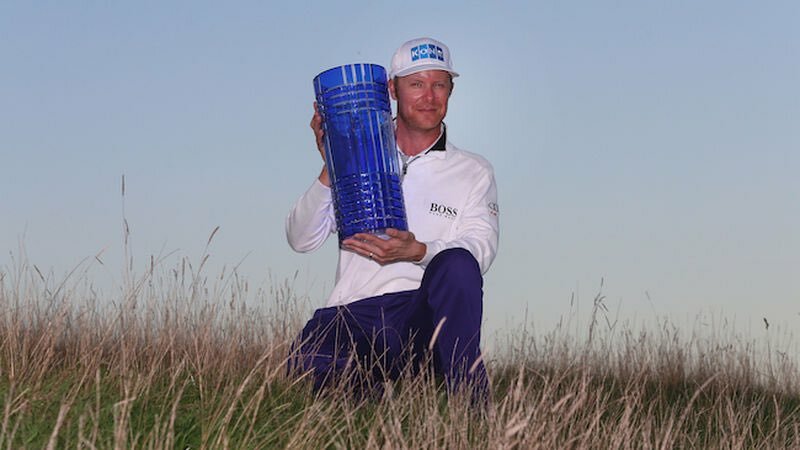 Expectations have to be tempered until he shows the same sort of form in bigger events, so a Top-20 bet looks the more realistic option this week but this could well be a breakout year, should he put together a couple of good weeks early. This is a simple one for me. Kokrak is off fairly early on Thursday (9:23am), sits 4th on Tour in Round One Scoring Average (68.18 in 11 rounds) and 13th in Early Round One Scoring Average (68.20) over the five rounds he has teed off early. Whilst question marks still remain as to whether Kokrak is a winner at this level, he has had plenty of near misses and will probably get over the line eventually. What is not in doubt is his ability to go low on any given round, especially on a Thursday, and that’s all we need from him. In 2014 and 2015 when finishing 4th and 6th here respectively, he opened with rounds of 67 on both occasions, leaving him T5 in 2014 and T2 in 2015 after round one, which gives plenty of reason for optimism this time round. It is clear he loves the course, making his last four straight cuts after missing the weekend on debut in 2012, with two top-6 finishes and a top-20 in that span. When looking at his current form you have to go back to the RSM Classic last November for his last missed cut and that was his first since the RBC Canadian Open in July, so he has been playing steady for a long time now. He has three top-8 finishes this season, including last week at the Valspar, and in one of those he also shot a 63 on the opening day of the CareerBuilder to sit T2 after day one, so he is clearly a man in form this season. At 55/1 I am confident he can give us a run for our money to lead after the opening round, even if not entirely convinced he can hoist the trophy at the end of the week at a similar price.